In a post on this blog in November of last year I suggested that it would be worthwhile talking about the proposed referendum on Scottish independence which Scotland’s First Minister has pledged to hold sometime in the lifetime of the current Scottish Parliament, most recently suggesting that it may be held in Autumn 2014. I raised the issue in that post as to whether or not it was within the legislative competence of the Scottish Parliament to organise a referendum concerning the dissolution of the United Kingdom. Para 1 of Sch 5 to the Scotland Act 1998 reserves to Westminster the following aspects of the constitution, among others “(a) the Crown including succession to the Crown and a regency” and “(b) the Union of the Kingdoms of Scotland and England”. Para 2 of Sch 4 to the 1998 Act states that “an act of the Scottish Parliament cannot modify or confer power by subordinate legislation to modify the law on reserved matters” and s 29(2)(b) of the Act says that it is outside the legislative competence of the Scottish Parliament to make a law which “relates to reserved matters”. S 54(3) of the 1998 Act provides that it is outside the “devolved competence” of the Scottish Ministers to exercise any of their functions in any way which would be outside the legislative competence of the Scottish Parliament. Without wishing to add further to the ‘collection of sound-bites from a variety of legal academics’ on the legality or otherwise of an advisory referendum (not here anyway), how can your arguments based on the non-fettering principle and ‘abuse of power’ possibly be relevant in the light of the Supreme Court’s decision in Axa? Thank you for this interesting analysis of the legal position. I hope that I am not alone in thinking that there needs to be some proper analysis of the impact of independence on matters such as the economy, the EU, national debt (Scotland must have a share), defence, policing etc. At the moment there is all this talk about a referendum in Scotland but an absence of detail. The government’s consultation paper is, in my opinion, a very poor document which concedes the possibility of “independence” and also concedes that voting on this will be confined to just the Scottish Parliament franchise. Further, the insistence on a single question with a Yes / No answer is, I suspect, more likely to hand victory to Mr Salmond. 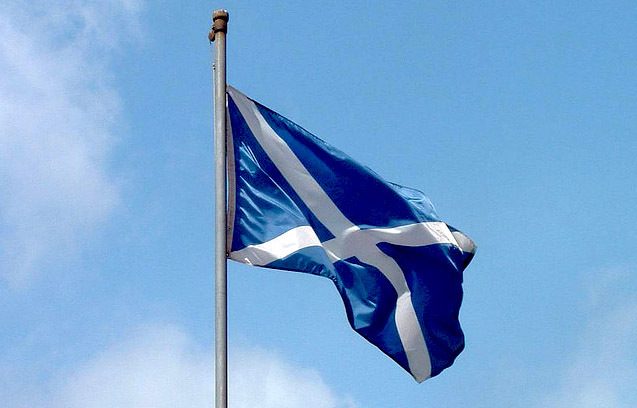 There are alternatives to independence including the possibility of a FEDERAL arrangement. Thanks for the appendix responding to my earlier comment. I think, however, that you are guilty of some selective quotation from Axa (some of it – Lord Reed at paras 169 and 170 – out of context, since he is talking there about standing). The whole tenor of both Lord Hope and Lord Reed’s judgments is that review of devolved legislation at common law is only available in the most extreme cases. It also seems to me to be unnecessary to resort to doctrines for control of discretionary powers in this instance. The legality or otherwise of a referendum (advisory or otherwise) is, I would have thought, a pure matter of statutory interpretation. I don’t doubt the argument you make. I think if the Supreme Court has to make a decision on this matter, they will probably rule a Scottish Govt Referendum illegal. I don’t think it really matters though. The arguments that are going on are fundamentally political rather than legal. The UK Govt will not, as is clear, refuse the Scottish Parliament the right to call a referendum. Politically it would be stupid to do so and has already begun to back fire on them. I believe ultimately it will be left to the Scottish Parliament to make the arrangements for the referendum and determine the questions to be asked etc. The Labour Party can claim a mandate because the 2010 UK General election results, but few would doubt in Scotland (where politically it matters) the SNPs mandate,as demonstrated by the 2011 Scottish Parliament Elections. So essentially, legally your correct, but it wont matter, this is primarily a political matter and will be negotiated and fought out on our TVs rather than in our courts. No one wants to risk the political consequences of been seen trying to deny or rig any referendum and I believe the vast majority of Scots will now look to the Scottish Parliament for leadership on this matter, not Westminister. There is surely a less tortuous reading of the terms of the 1998 Act which, in conjunction with s101(2), would lead to the pretty clear conclusion that there’s no real scope for doubt about the legality of the proposed Act. I agree with the last poster that the politics are going to be more important than the law but, even as a matter of law, I can’t see that there is more than a specious argument to support the claims of “not law”. I hope that the article at http://www.hallidaycampbell.com/2012/02/law-and-independence-referendum-is.html is a fair summary of the argument against you. 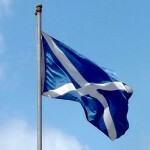 Leave a reply on "Now We’re Talking – About The Scottish Referendum [updated]"